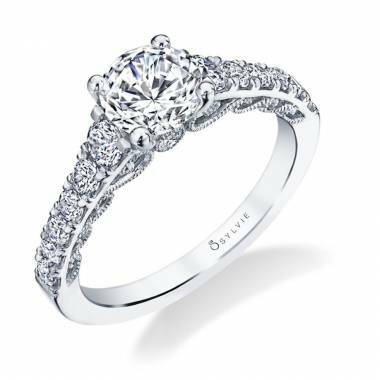 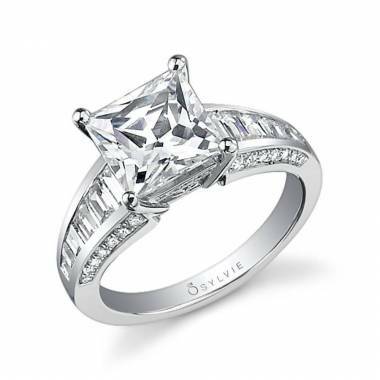 This vintage inspired double halo engagement ring is one-of-a-kind. 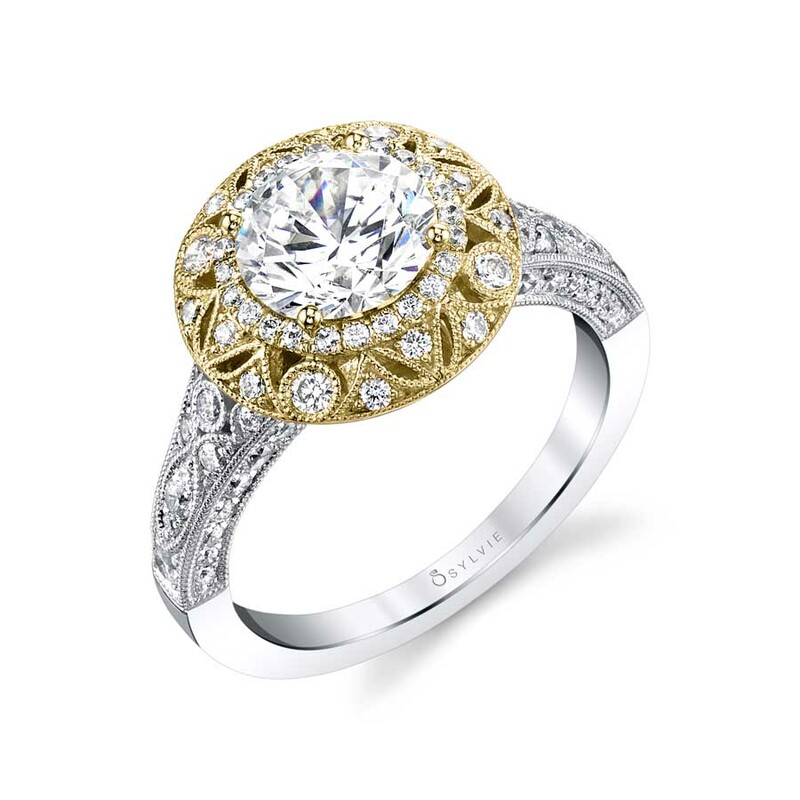 Featuring a 1.5 carat center surrounded by two halos of stunning diamonds and intricate details in yellow gold, this engagement ring is a true show stopper. 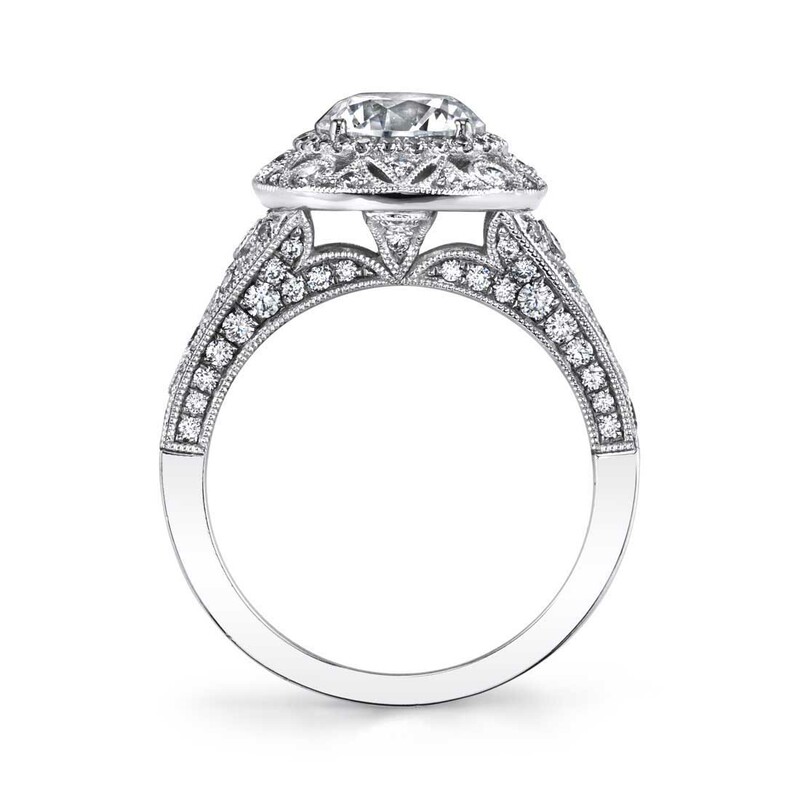 Diamond encrusted milgrain detailing accentuates each side for a total weight of 0.90 carats.